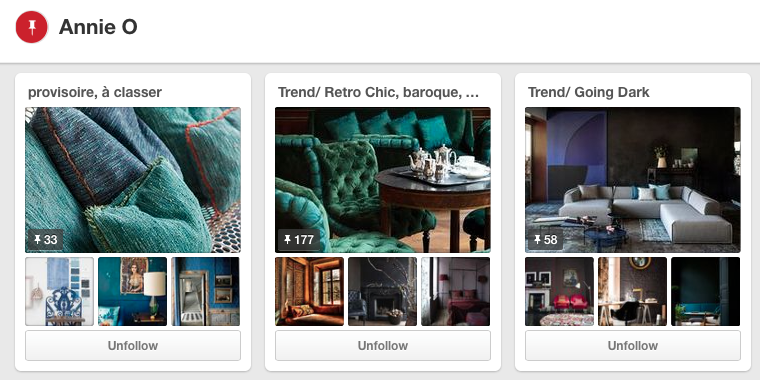 Today we are posting trend boards for Home Decoration. The first boards follow on almost seamlessly from our review of Thea Porter and 70s Bohemian Chic with a Middle Eastern feel. We then heat up and see Caribbean and Central American trends that remind us of Frida Kahlo who has influenced both Valentino and Missoni collections this year. 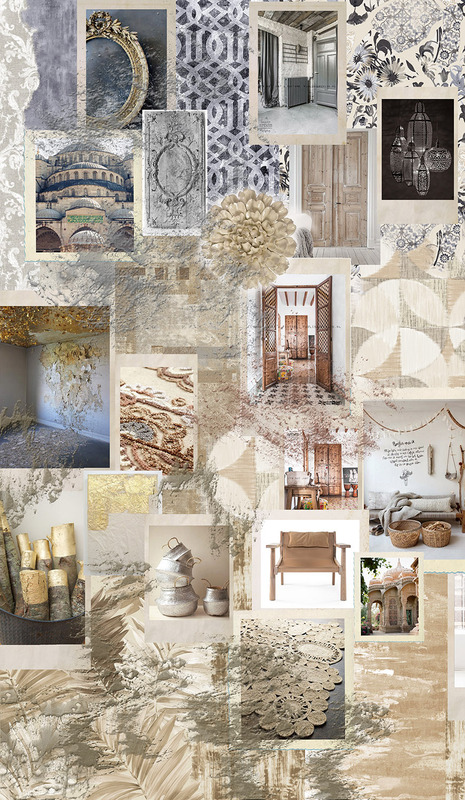 Now we take the baroque and mosaic look to a softer, dustier level with a transparent and ethereal feel. It is important that we keep our minds open and accept influence from many directions if we are to keep creative. Print design crosses over markets and that is what we hope to illustrate with this blog. Here is the link again to Annie O Pinterest where you can see a host of inspirational images and trends from a range of sources. A veritable feast for the mind and eye.